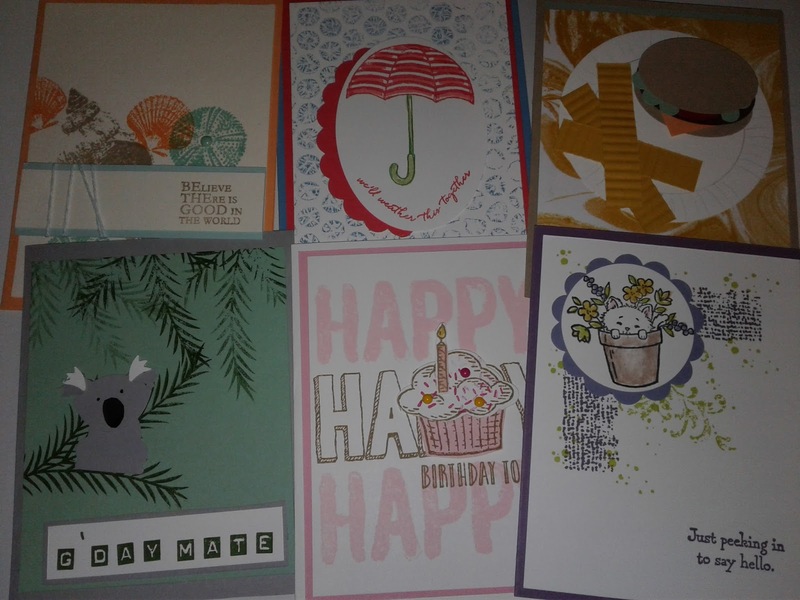 This month's card making class will feature a fun technique and punch art! Handmade cards are extra special to give since they are made by you and those you give them to will feel so honored that you took a little extra time for them! Angie Honegger will teach you how to create a bubble wrap background and two punch art cards with a koala and a burger with french fries! 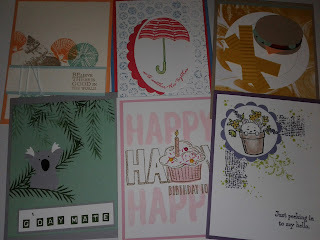 Other card sentiments are always available! This class will meet on Thursday 7/13 at 6pm at city hall. The cost for the cards are 4 for $8 or 6 for $12. Stampin up July Scrapbook kits!